Two dozen federal investigators arrived in Anchorage on Monday to help with the inquiry into a huge fire that destroyed an under-construction Courtyard by Marriott hotel early Saturday. 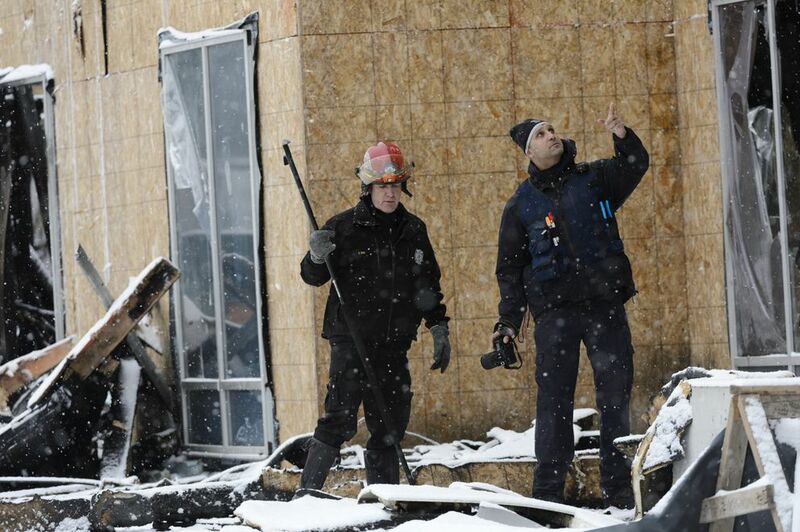 The Bureau of Alcohol, Tobacco, Firearms and Explosives offered up its “National Response Team” to help determine what caused the hotel to burn, said fire marshal Cleo Hill with the Anchorage Fire Department. Anchorage has only one full-time fire investigator, Hill said. 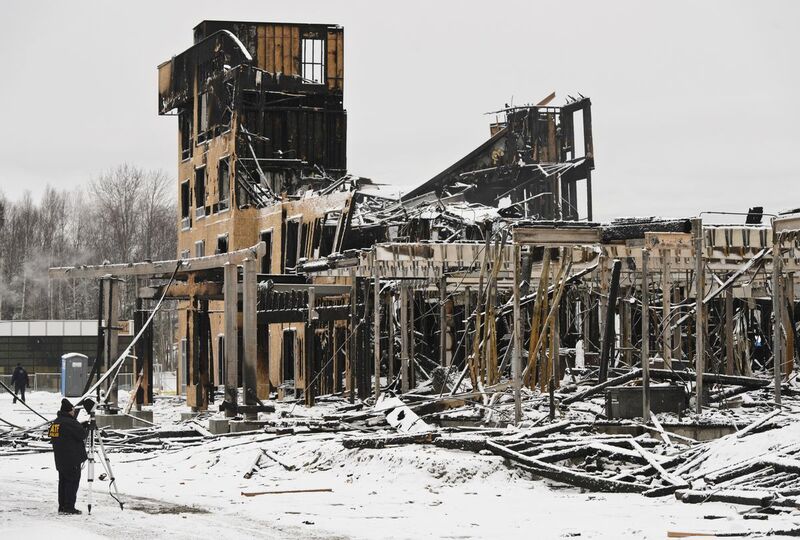 The ATF sends its specialized fire investigators to incidents when “the size and complexity of a fire is too large for local resources to handle in a timely manner,” said agency spokesman Jason Chudy. “The team is going to stay as long as needed for us to do as thorough of an investigation as we can,” he said. The ATF team has been called to Alaska three times before: for a 1980s department store fire, a 2002 fire at the under-construction Aspen Hotel and a deadly 2017 fire at the Royal Suite Apartments, the agency said. The under-construction 141-room Courtyard by Marriott hotel was still mostly wood and sheetrock when it burned in an inferno so big that it could be seen from the Anchorage Hillside early Saturday. No sprinkler system had been installed. The fire burned so hot that the sign on the Motel 6 next door melted, and the windows cracked. A towering “thermal column” created by the fire deposited chunks of debris as far away as the Century 16 movie theater on 36th Avenue, Hill said. The building at 4960 A St. may be one of the highest-dollar properties ever destroyed by a fire in Anchorage. Hill said that after speaking with a construction superintendent Saturday, she estimated the loss at $20 million. So far, investigators aren’t saying anything publicly about the cause of the fire. The investigation is in its very earliest stages. Firefighters are still extinguishing hot spots, and what’s left of the interior of the charred wood structure hasn’t been safe enough to enter, she said. 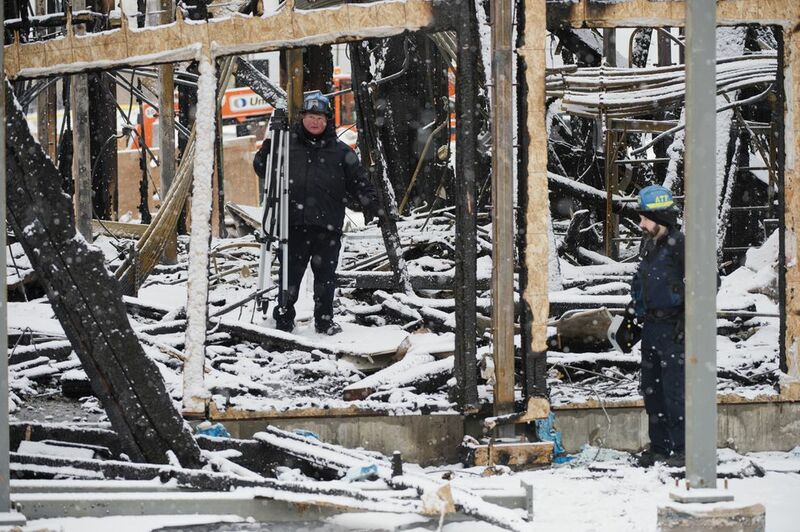 On Monday, a San Diego ATF team contractor geared up to enter the burned wreckage as snow fell. Anchorage police guarded entrances to the gated site. A man in an ATF hat took pictures of a piece of equipment sticking out of the one mostly unscathed wall of the structure. 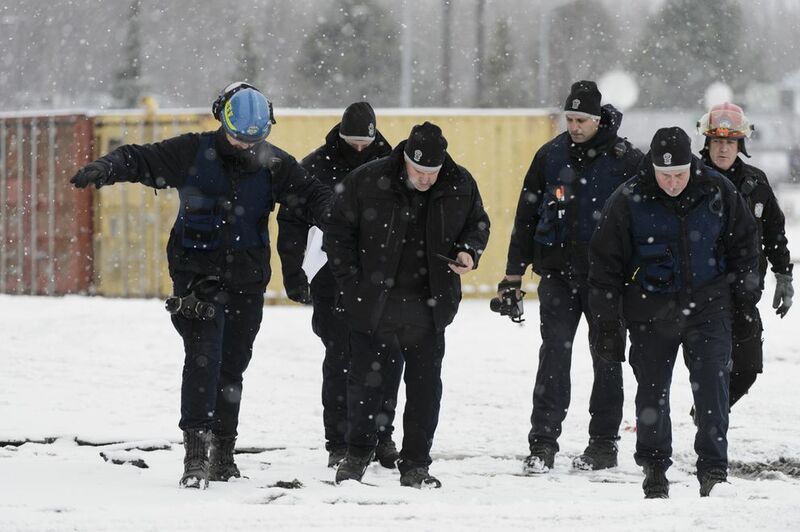 The Anchorage Police Department is helping too, with crime scene experts and detectives, Hill said. “We’re trying to determine if a crime has committed,” she said. Investigators will also be looking at whether anyone gained access to the construction site before the fire. The site was surrounded by fence and signs warning of video surveillance. It’s not clear what the company will do with the site or whether they will pursue rebuilding. Attempts to contact the developer, Affinity Hospitality, were unsuccessful over the weekend and Monday. The Newport Beach, California-based group develops hotel franchises, including a Home2 Suites by Hilton in the same area as the doomed Courtyard by Marriott. Affinity Hospitality’s management team includes one local member, developer Steve Hall. Hall’s biography credits him with developments including a cluster of businesses in Midtown Anchorage, including Golden Corral, TGI Friday’s, a Starbucks franchise, the Hilton Garden Inn and Homewood Suites. Hill, the fire marshal, said a series of high-profile fires including a blaze that destroyed an abandoned house downtown and the fire that burned the shuttered Sea Galley restaurant have involved what she described as “vagrants” breaking into buildings. The final cause of the Sea Galley fire hasn’t been determined but people were inside the building on the morning of the fire, Hill said. “It says to me we have a rash of vagrants or people with other ill intent breaking into properties they have no right to be in,” she said. It’s too early to say whether that happened in the fire at the Courtyard by Marriott construction site, she said.